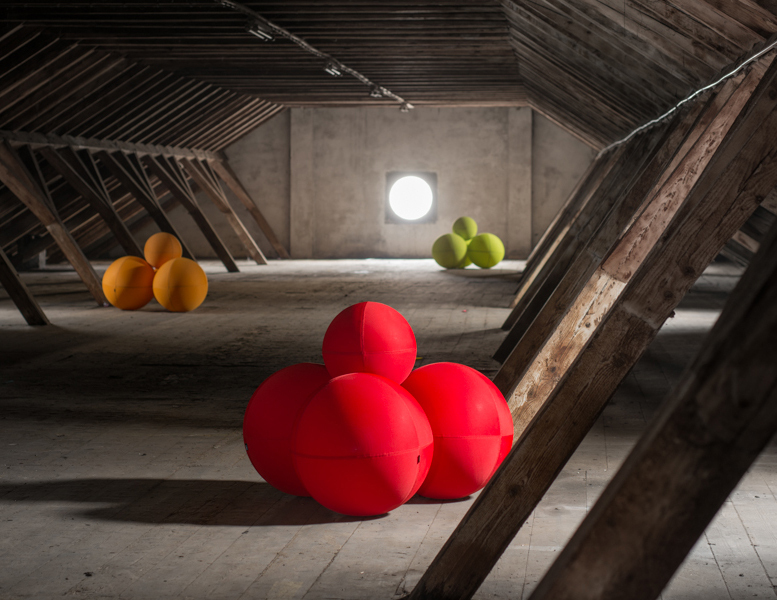 The Ball Modular is a playful sitting composition and at the same time a welcome revival to any ambience. Circular curves of The Ball Modular composition unite subtly with the environment and make the composition popular in the gardens, parks and open-air terraces. 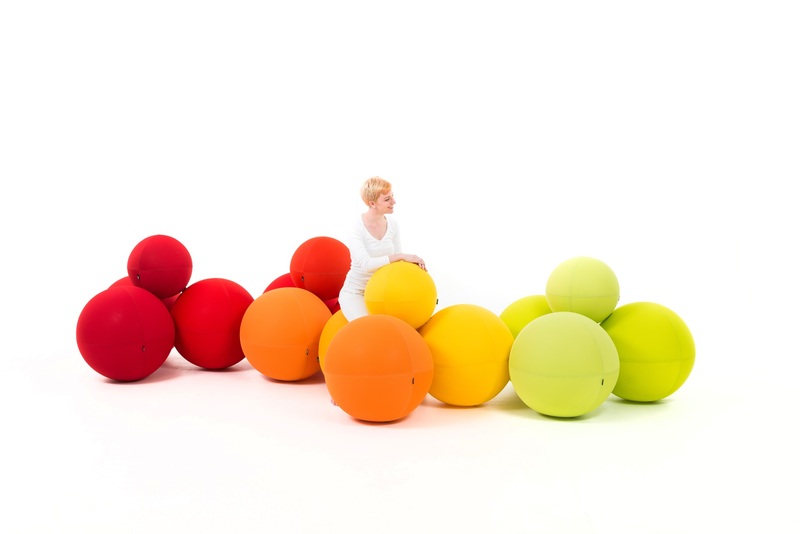 The Ball Modular composition consists of three large ball-chairs and a small two-in- one ball-backrest or -armrest. When we want to have a chat with our friends or spend time with our family, in the garden or in the living room, The Ball Modular composition offers perfect opportunity to sit comfortably and talk. 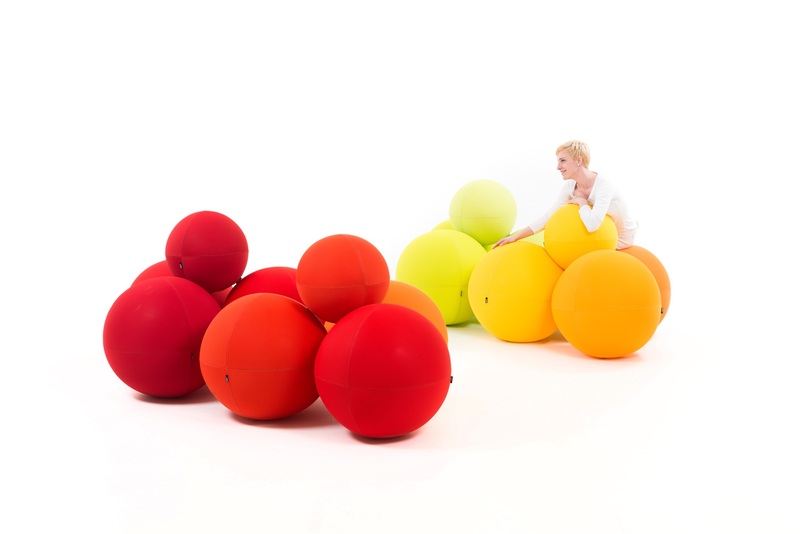 However, when we want to sit on The Ball Modular to take a short rest, or to admire the nature, in the hotel lobbies or at the airport, we simply lean on the small ball-backrest and enjoy our time. 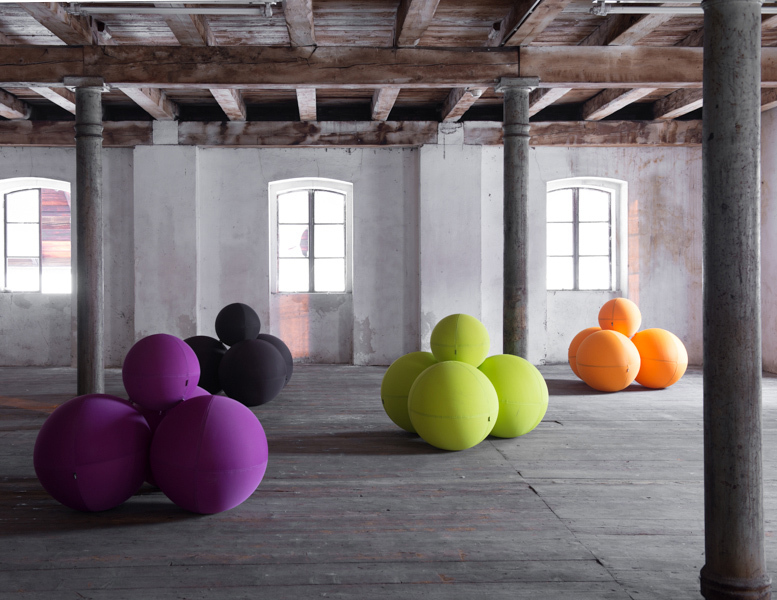 Even when there are more persons sitting on The Ball Modular at the same time, the composition offers comfortable and undisturbed sitting. The balls of this sitting composition are covered with 3D removable covers that are obtainable in 36 colours. A combination of colours is left to your choice. When the covers get dirty, they can easily be removed for washing. 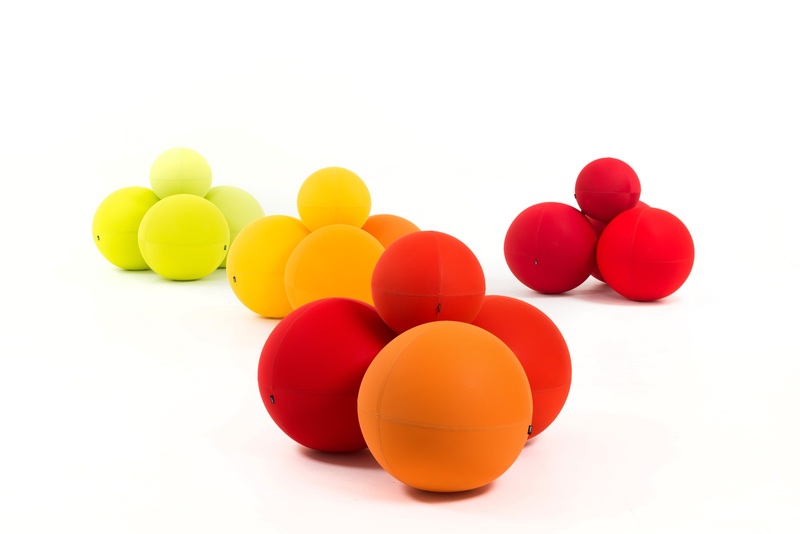 The Ball composition can be used indoors or outdoors.